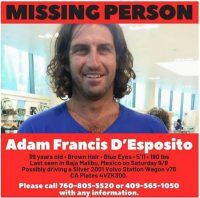 Family and friends are searching for 39-year-old Carlsbad native, Adam Francis D’Esposito. The surfer went missing for over two weeks and was last seen in Mexico. According to his sister, Briana D’Espositio, the well-liked nomadic surfer, who had friends spanning the globe, was last spotted south of the border in the town of Baja Malibu. It’s a spot Adam had been frequenting since he was a teenager. . . It is believed Adam had driven a silver 2001 Volvo station wagon into Mexico; however, he was later spotted shirtless and barefoot running alongside a highway. Anyone with information should call 760/805-5520 or 409/565-1050. A staff member at the Boys & Girls Clubs of Carlsbad planned a very special surprise for Club CEO Brad Holland … the basketball court at the Village Clubhouse now bears his name! The Club’s Executive Committee immediately embraced the idea as well, and gave the green light. Curtis, Club staff, and board members revealed the court to Brad in late May. For the official word from the Clubs, please follow the jump. Preview performances of the New Village Arts Theatre production of the hit play Men On Boats begin Friday, March 21, 2018. If you’d like to make sure you have a seat you can reserve it now for $25 or just pay what you can. This fantastical comedy recreates John Wesley Powell’s ten-man 1869 exploratory expedition into the Grand Canyon with one twist: all of the roles are played by women. The production will be directed by Melissa Coleman-Reed (who directed NVA’s HAVING OUR SAY for Season Sixteen), featuring Kristianne Kurner as John Wesley Powell, and showcasing a diverse group of San Diego’s finest female actors. We hear it will be well worth your while. For more info, please click the link. While growing up with a family friend that was diagnosed with autism, Ethan Hope saw first hand the hardships his friend went through on a daily basis. Now a sophomore at Sage Creek High, Ethan formed “Bobcat Buddies,” a club whose primary purpose is to provide teenagers who have autism with fun sports-related events in an environment where they can learn, grow, and interact with others. For more, please follow the jump. 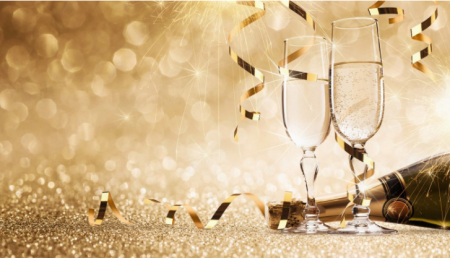 Are you lag planner when it comes to New Year’s Eve? Saying you haven’t planned anything just yet? You’re not alone and we’re here to help. We’ve got eight suggestions on how to get the party started and how to recover after it’s over featuring the Sheraton Carlsbad Resort & Spa, Legoland California, and Cape Rey, a Hilton Resort. For all the detail, follow the jump. Widening sidewalks and improving bike lanes throughout the area. 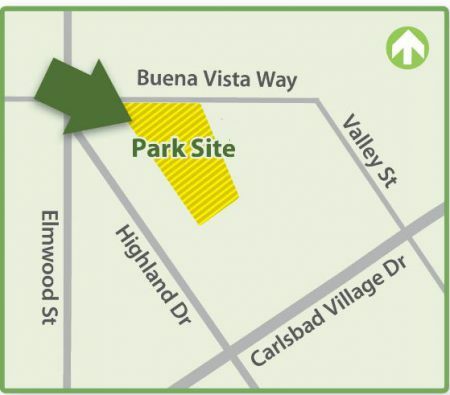 Adding new parking spaces on Tamarack Avenue and Carlsbad Boulevard. Getting rid of the asphalt island on the west side of Carlsbad Boulevard and south of Tamarack Avenue. Relocating the bus stops to more accessible locations. Creating more functional space on the ocean side of Carlsbad Boulevard, just to the south of Tamarack, including an overlook with space to sit and enjoy. A new crosswalk across Carlsbad Boulevard south of Sequoia Avenue to the lagoon trailhead. Signs directing people to the Coastal Rail Trail along the railroad tracks between Tamarack and Oak Avenue. Construction could start in the fall of 2018 and we’re looking forward to it. This will solve so many traffic problems for so many people. And if Carlsbad Boulevard gets cut down to one lane in each direction from The Village to Cannon we’d be even happier. For the official word from the City (including community meeting schedules), please follow the jump. 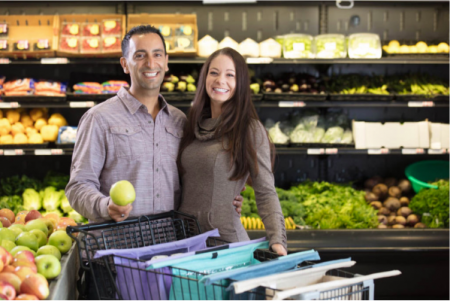 Carlsbad’s Farzan and Jen Dehmoubed have an idea they think will revolutionize the grocery bag world. They’re called Lotus Trolley Bags and the Orange County Register has the whole story. The bag debuted in May and since then the Dehmoubed’s have reportedly sold over 10,000 of them. Not bad at all. Plus, anything is better than plastic, even if it’s costs $30 for four.